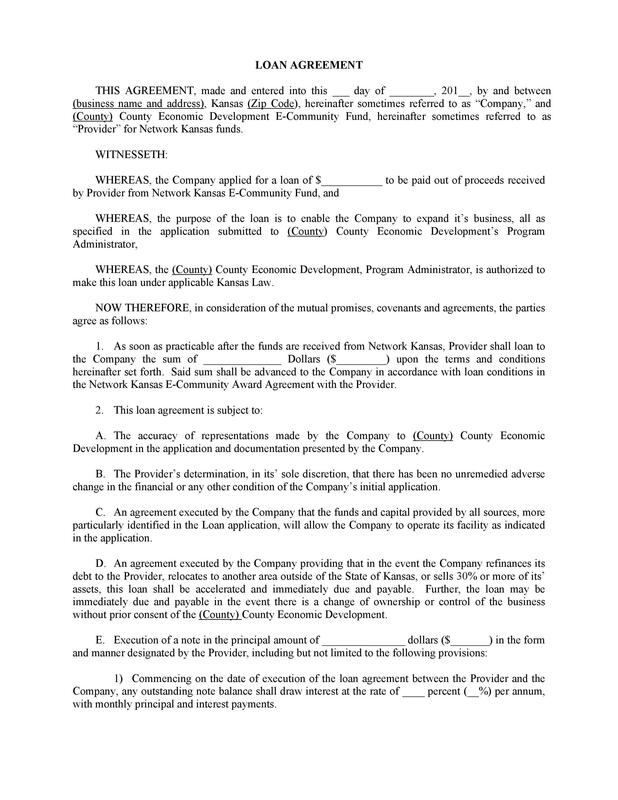 When it comes to legal forms and templates, the loan agreement template is valuable. 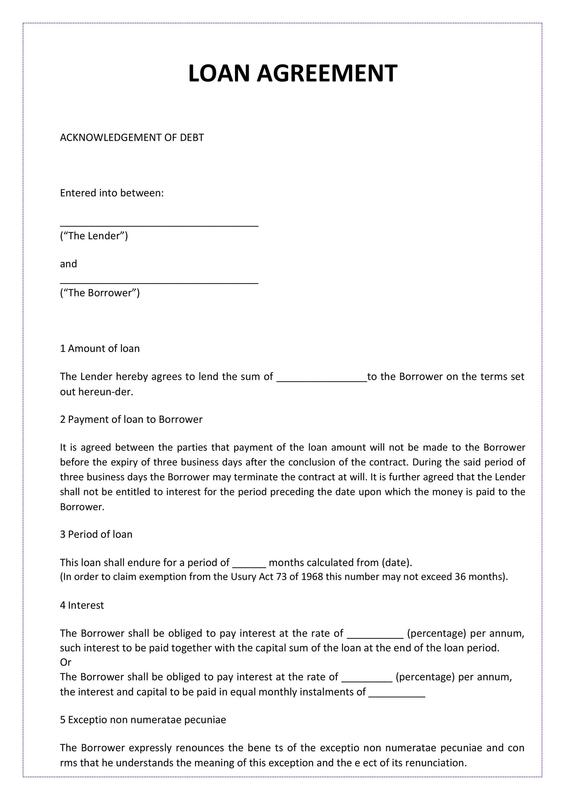 Whether you are the person borrowing money or the lender, a contract is a necessity. The use of a loan agreement is prudent in such instances as it protects the borrower. 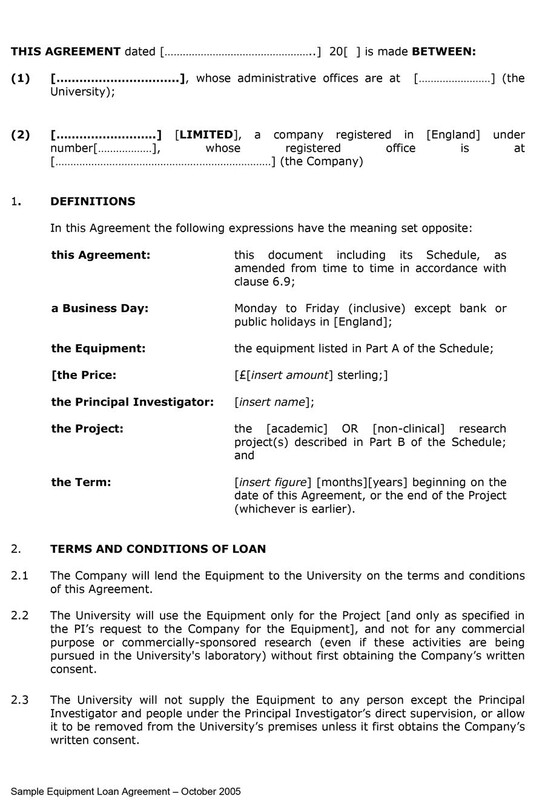 The pre-defined terms of the loan are clear in the document. The paperwork also gives protection for the lender. That’s because the document serves as evidence of the terms of the loan and what the borrower has agreed to repay. 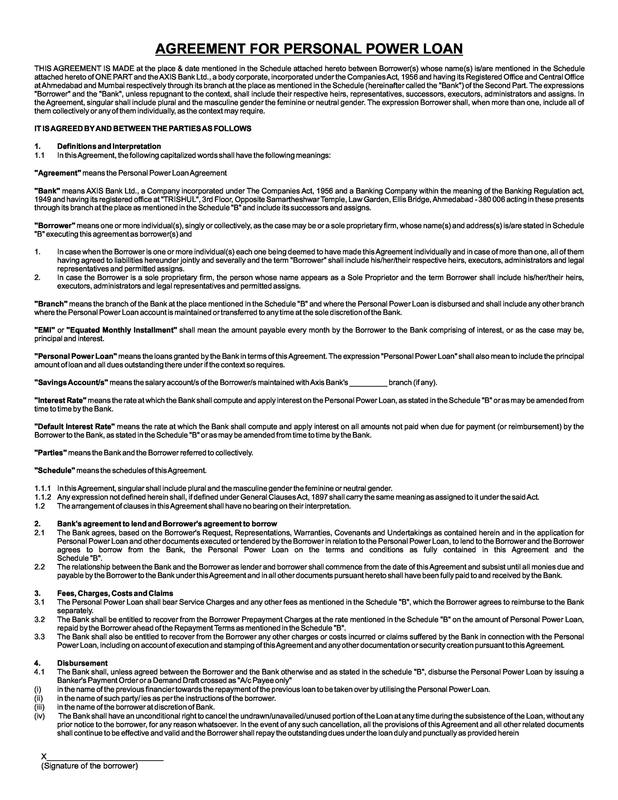 4 To what tasks does a loan contract template apply? So, what material is in a loan agreement? Let’s explore the features of the document in question a bit further. 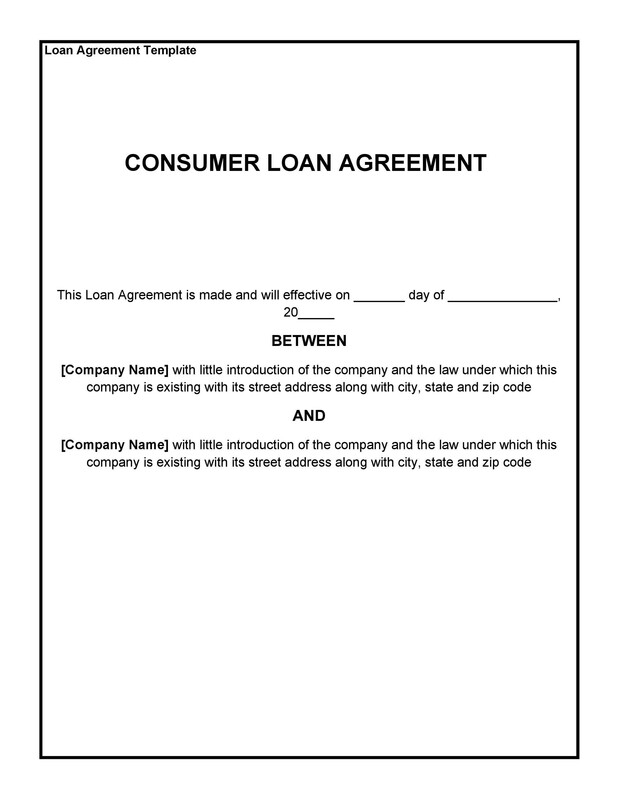 A free loan agreement template is a money lending agreement. Sometimes it is a business loan agreement, personal loan agreement, or loan contract. 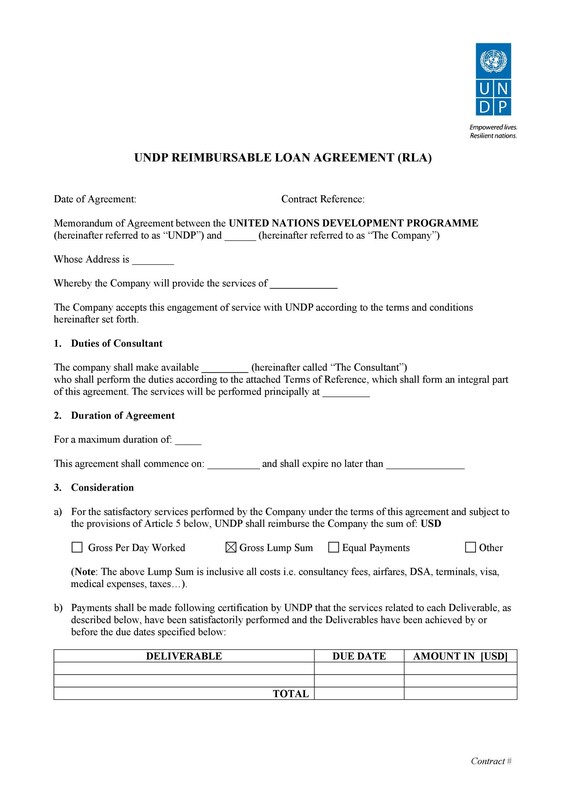 Sometimes you might find a simple loan agreement of a loan contract template. One person might call the loan contract a promissory note or a promise to pay. 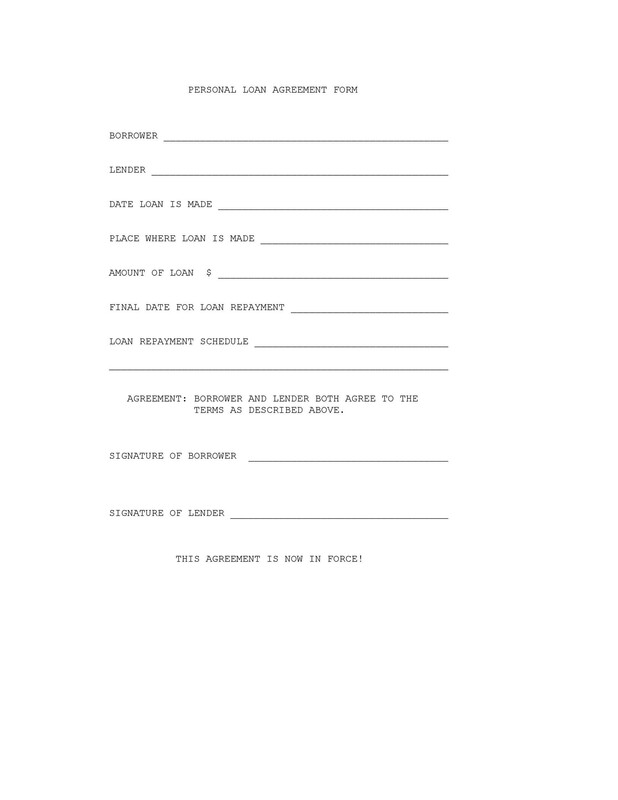 Another might reference the document as a demand loan or a term loan. If the loan terms are in the title of the loan, the document template title is a secured loan or an unsecured note. All the latter document titles refer to the same type of legal documentation. 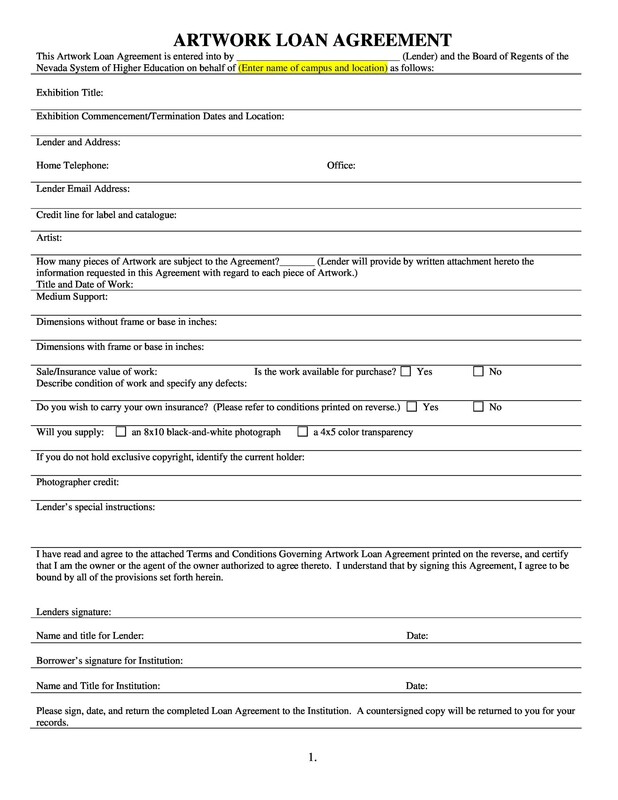 A loan agreement template is a fill-in-the-blank form. You can use to define the parameters of the loan or amount of money a person borrows. A lender also defines the repayment terms. These documents help lenders and borrows avoid confusion. This paves the way to good borrower/lender relations in the future and ensures issues are easy to remedy. 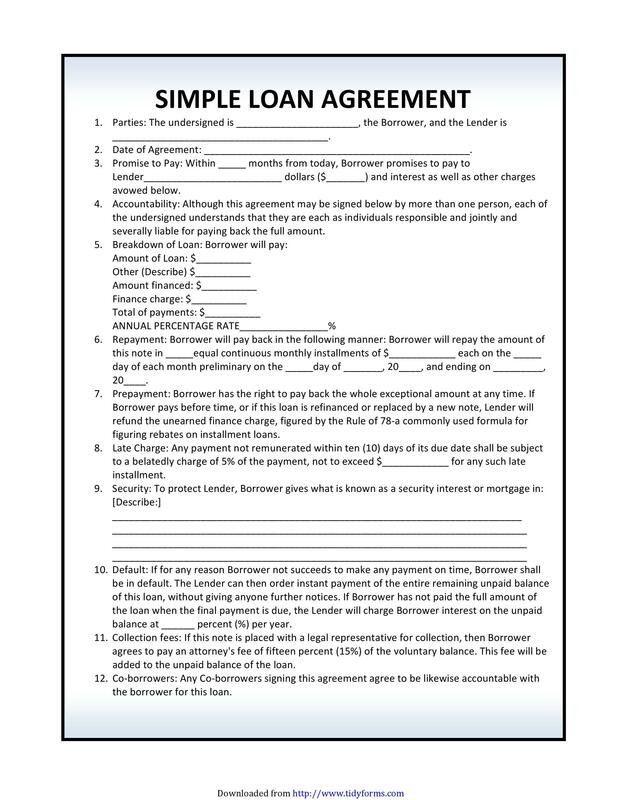 In a loan agreement template, the amount of the loan is in print. 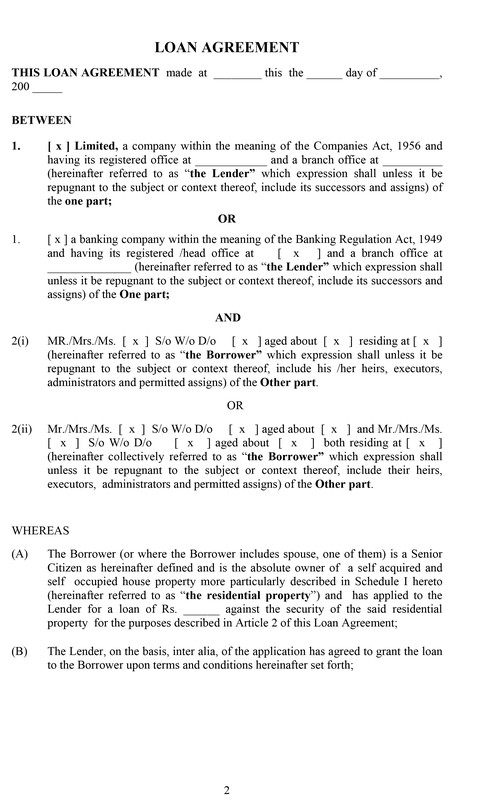 The printed terms prevent future dispute of loan terms. 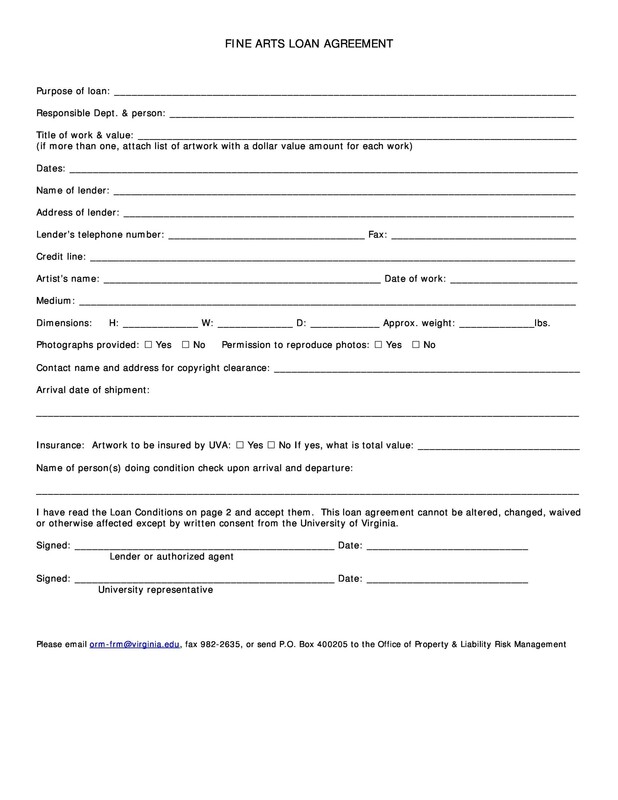 If there is interest on the loan amount, the amount of interest is also part of the documented material. Having the loan amount clear ensures no disagreement about what the borrower receives. The borrower is also clear about repayment expectations. Repayment expectations include the amount of the loan plus interest. It also includes the length of time the borrower must repay the total amount. The time the lender allows for repayment is part of the options the borrower conveys in writing. The timeframe might be days, weeks, months, or years. 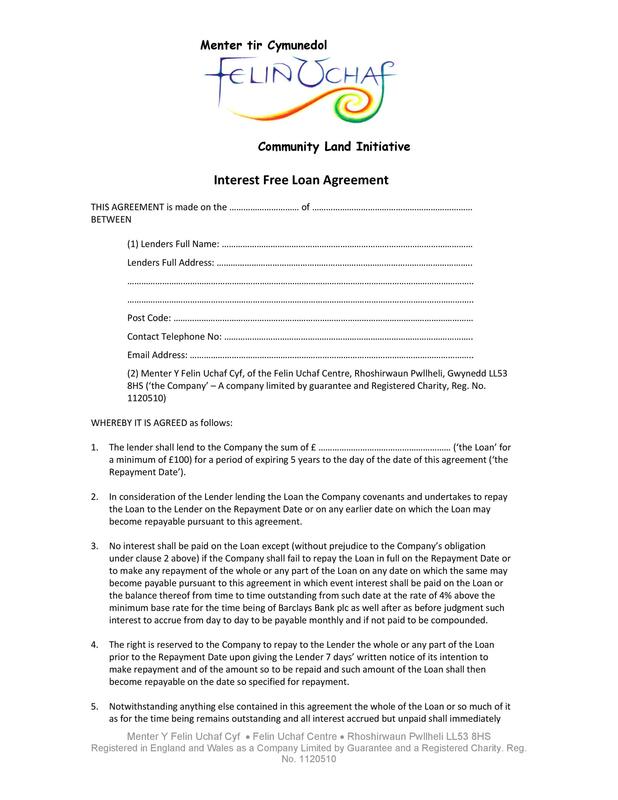 A free loan agreement template is a document that will benefit anyone who is lending money to a person. 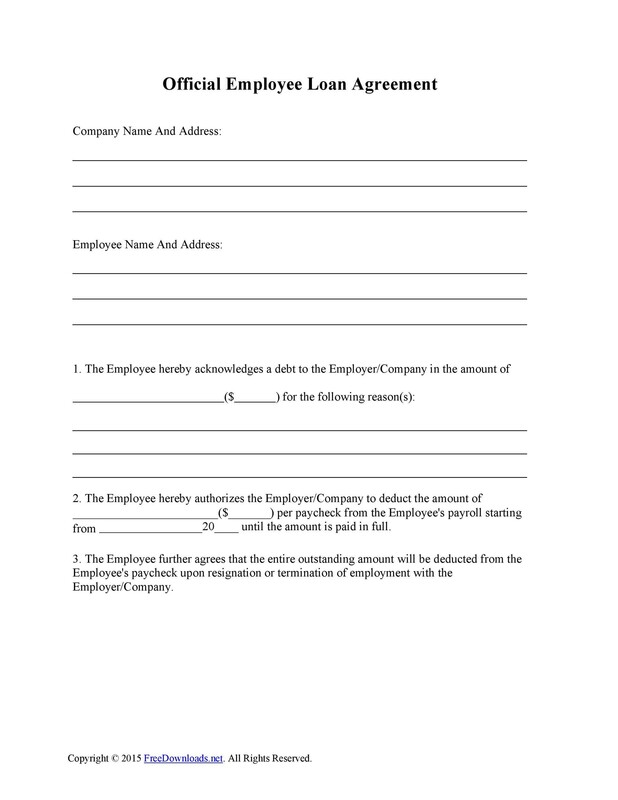 It is a document ideal for an agreement between people who do not have contact with one another on a regular basis. The terms of the loan are available for the borrower to read and understand. 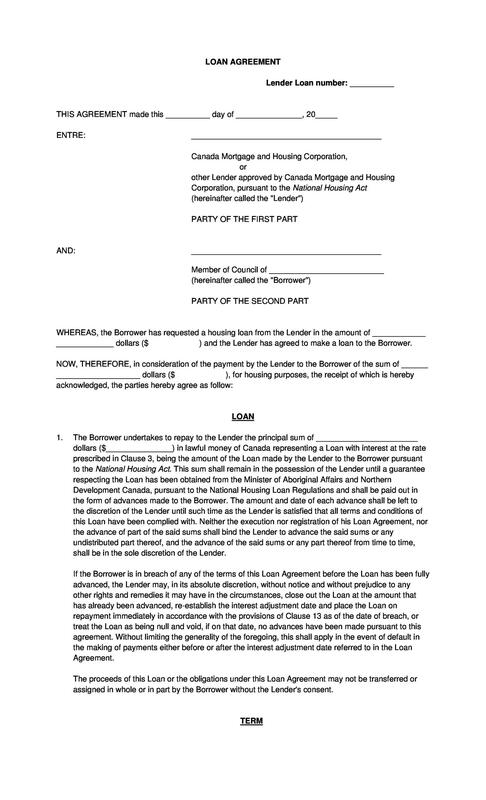 The borrower must do so before signing the document. The document is also excellent if you are a lender who plans on charging interest on the money you lend to another. Any provisions that apply to the loan are also something the document includes. 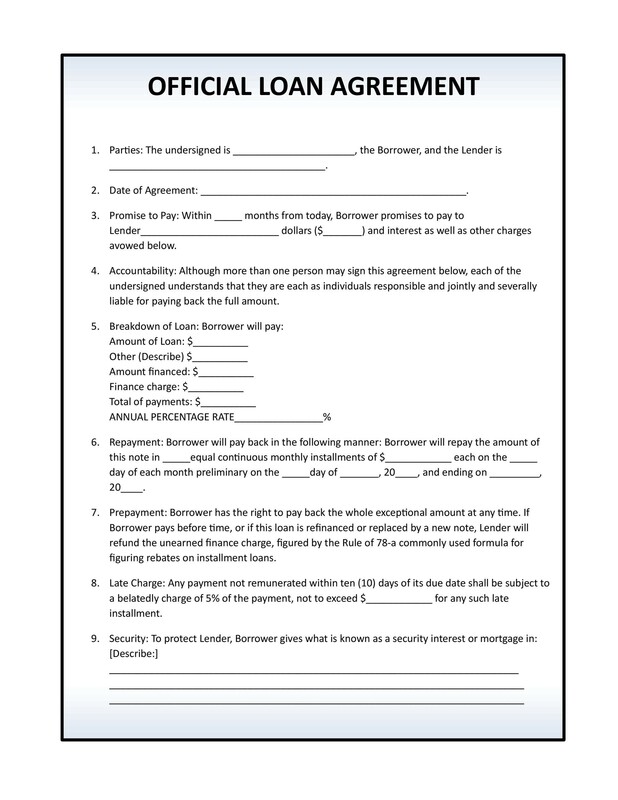 The form is to ensure that both the borrower and lender agree to the terms and provisions. 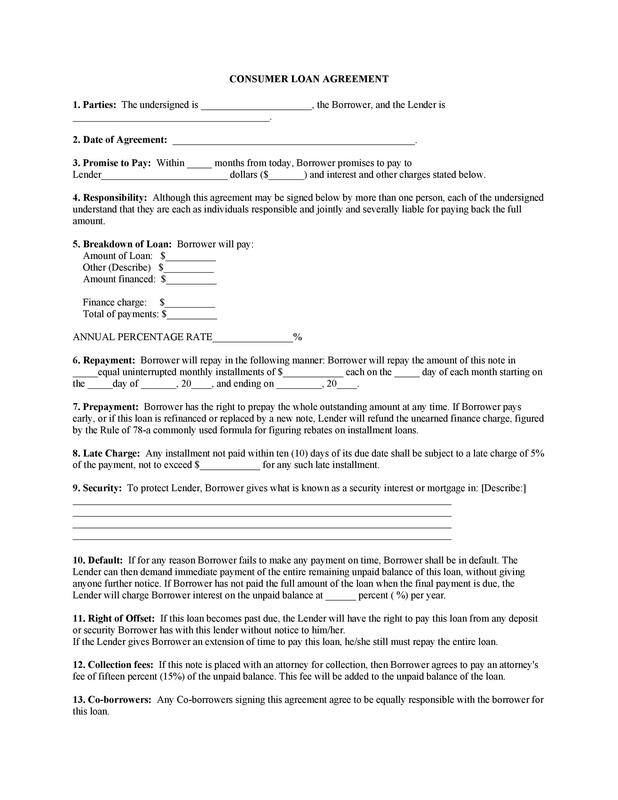 Once the borrower, lender, and a witness document the form it is a legal and binding agreement. When loaning money, if you want to ensure repayment, use the personal loan agreement. With the provisions in the document the regulations are clear. 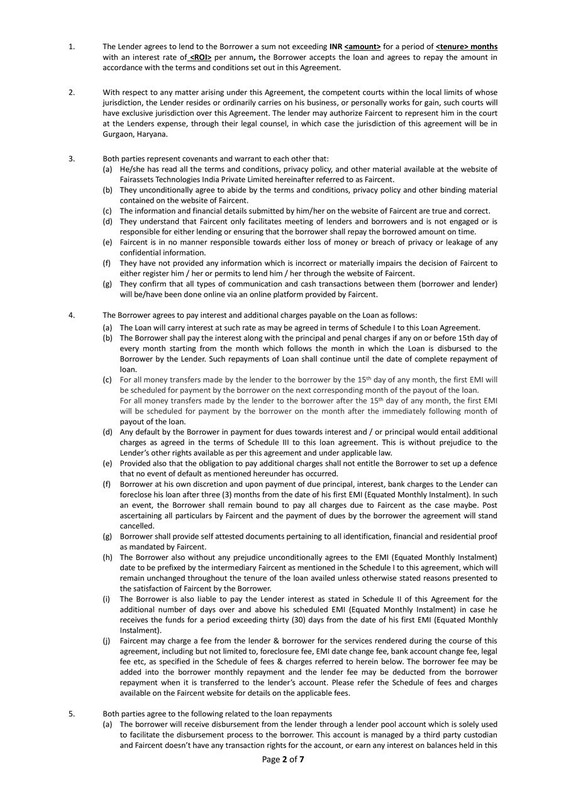 After signing it, the borrower or the lender cannot make changes to the initial agreement. 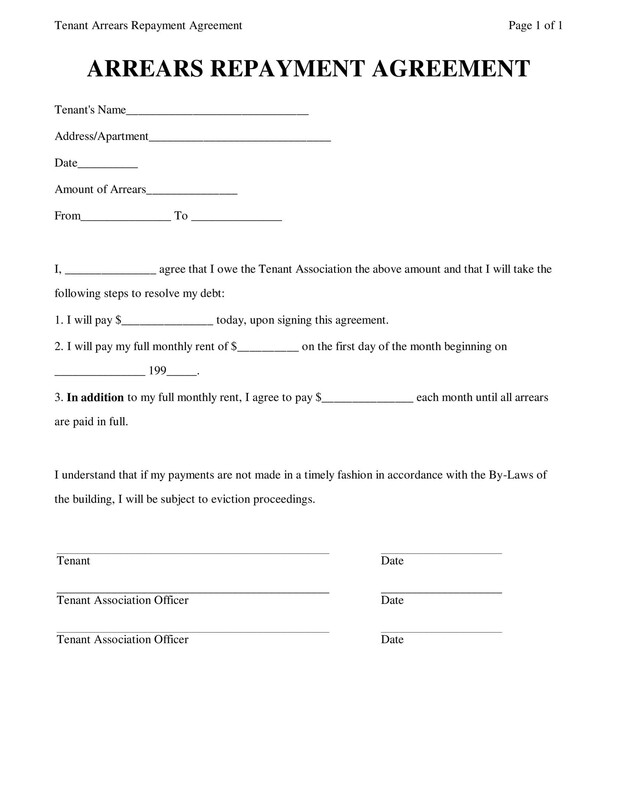 To what tasks does a loan contract template apply? 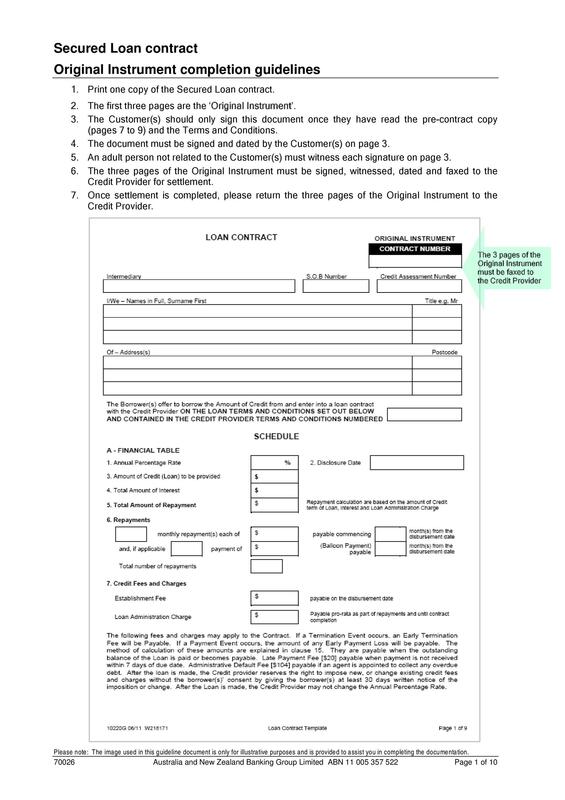 A loan contract template is a tool that can help you draft a legal loan document. The drafting of this document is a careful task. It must include information important to the loan and its repayment. The language must be easy to understand, clear, and concise. 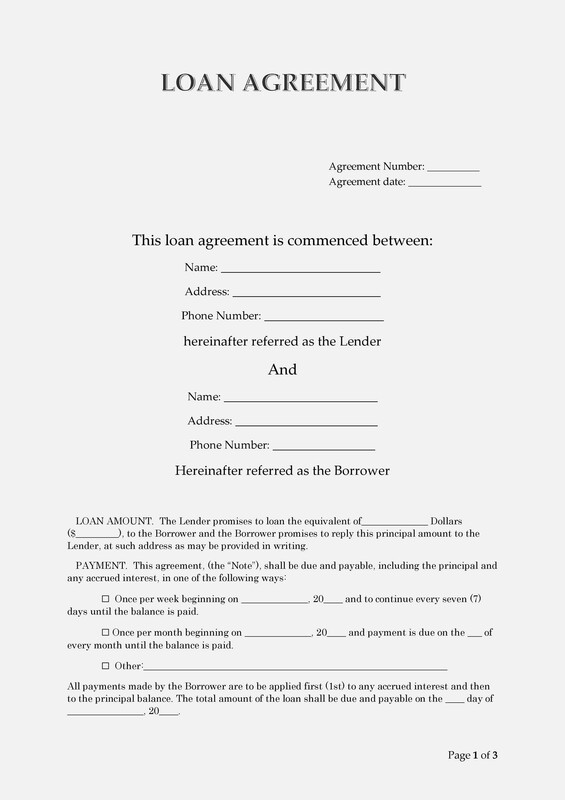 When the document is complete, it needs to leave no question about loan terms and repayment. The free loan agreement template has many uses. 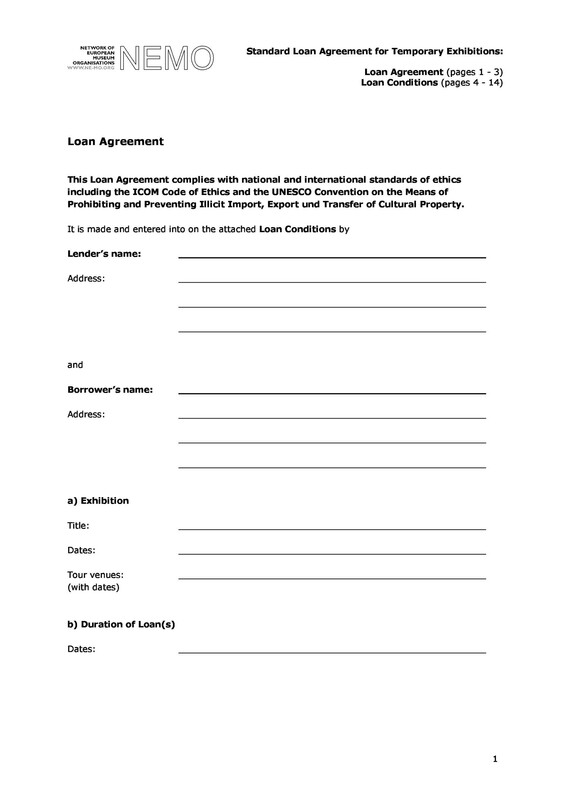 A personal loan agreement template is a document friends or acquaintances use. 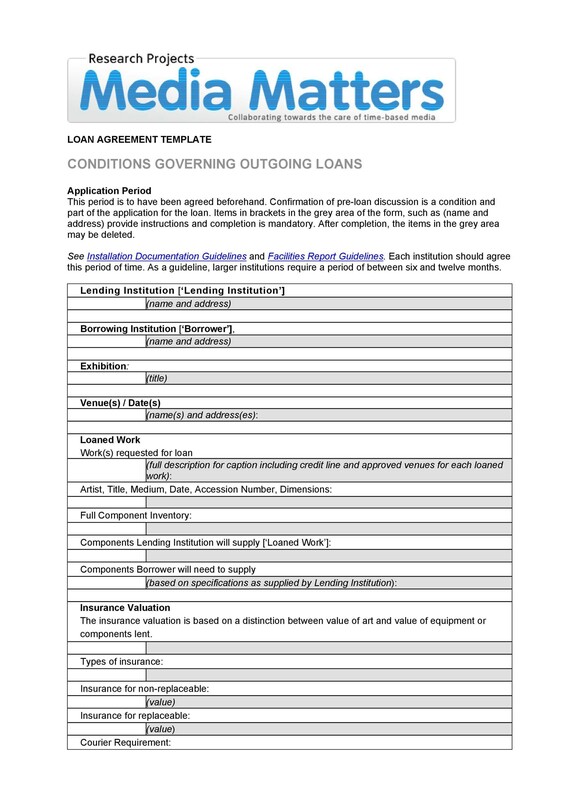 A loan contract template is a resource can help in defining the terms of a business loan. The lender can make clear to a business what the principleand provisos are. The template is something simple to use to ensure no pertinent information omitted. It is important all information is in the legal and binding agreement. 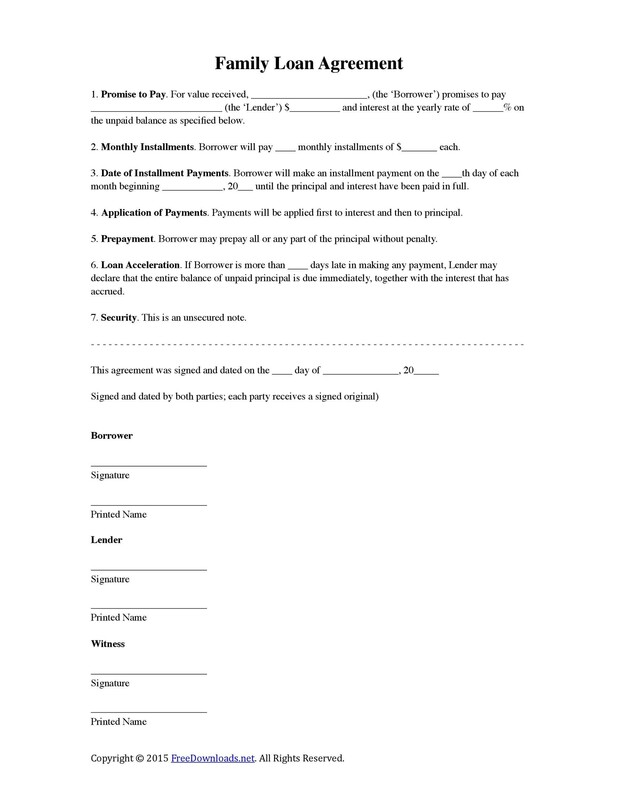 When borrowing funds to pay for tuition, one can use the personal loan agreement template. 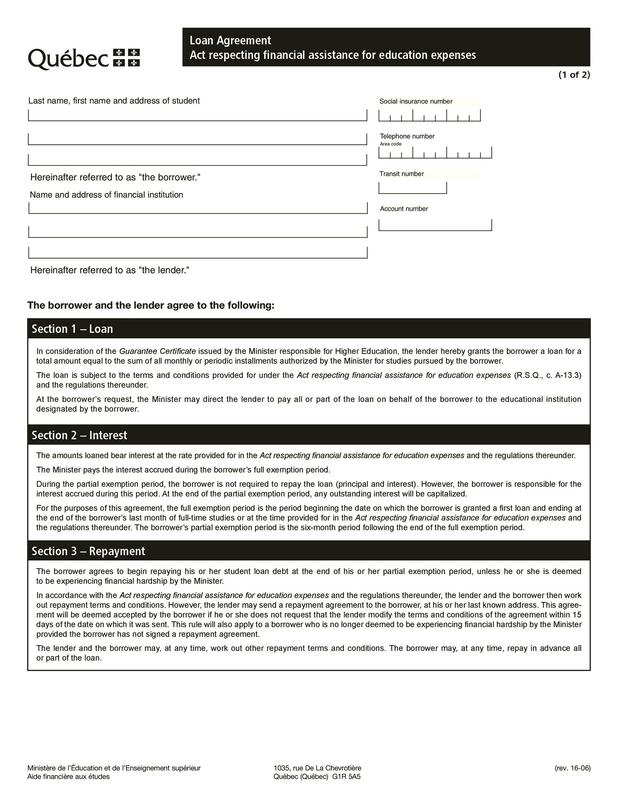 It takes minutes to create a legal document describing the student’s repayment responsibilities. for in the way of repayment. 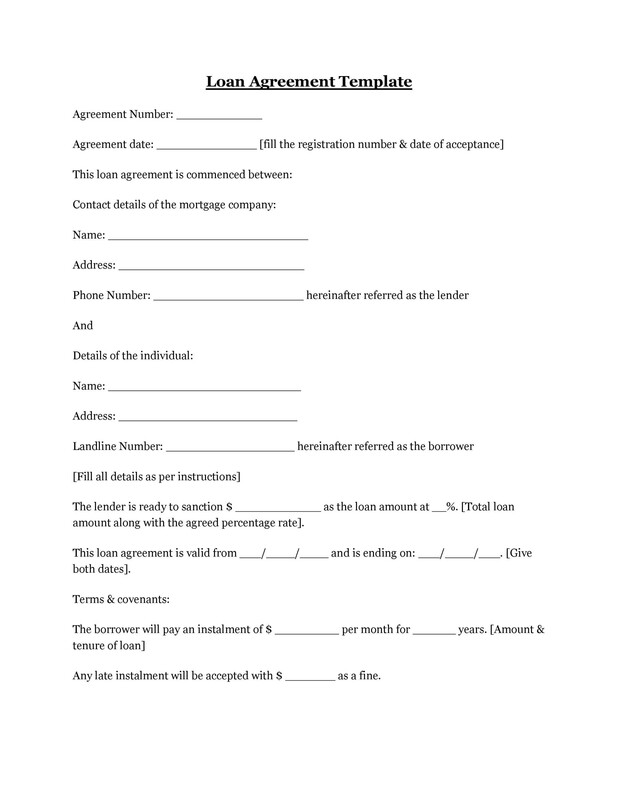 A loan agreement template is good documenting funds a borrower must repay for the down payment of a home. If funds are for personal use, a loan contract keeps loan requirements clear. End of term lump sum repayment: The lender requires the borrower to repay the loan until a set end date for the note term. When the end date arrives, the borrower pays the remaining balance as a lump sum. Interest only: The lender requires the borrower to make payments via increments as set forth in the loan contract agreement. The payments do not go toward the principle of the loan. Once the borrower pays off the interest, the individual must pay off the principle as a lump sum payment. Principle and interest repayment method: The lender requires the borrow to repay the loan in a set number of days, weeks, months, or years. The initial payments pay off the compounded interest on the loan first. Once the interest is paid, the borrower’s payments apply to the principle of the loan. The payments continue until the entire principle is paid in full. 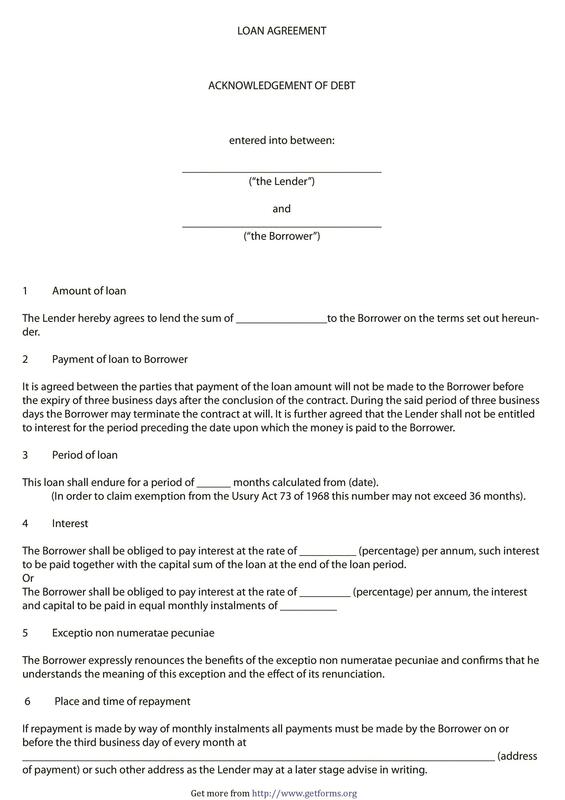 Specified periodic increments: The lender requires the borrower to repay the loan in intervals the parties agree to in the loan agreement template. 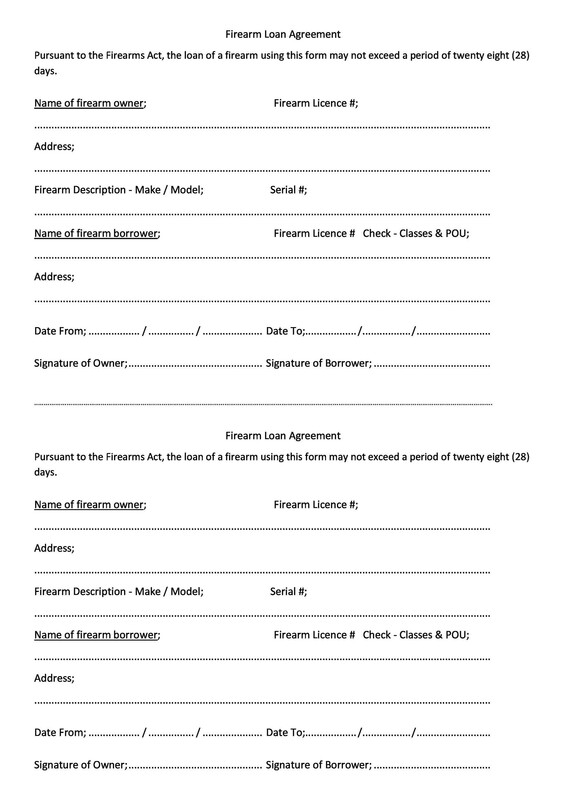 The current date of the document: It should match the date the borrower, lender, and witness sign the document or the date should be a bit earlier than the signatures date. 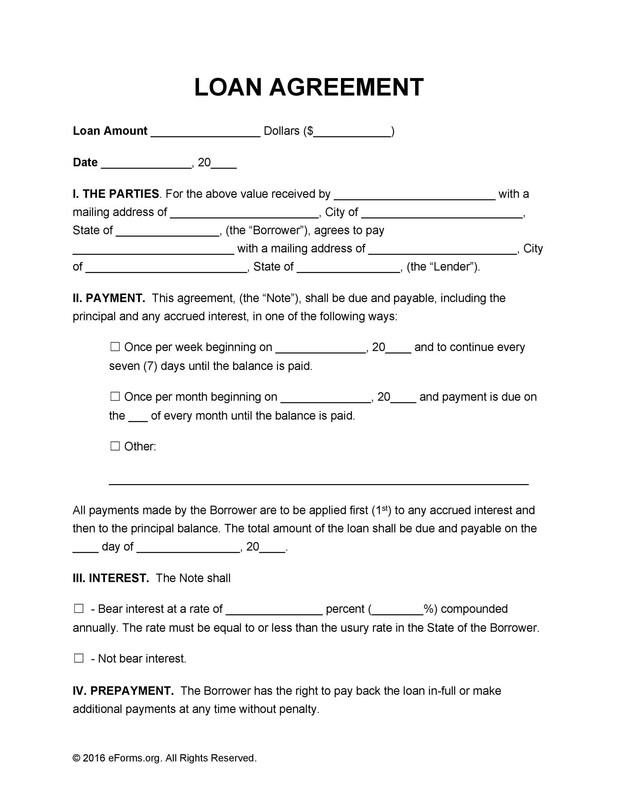 Information on the lender: The name, address, and contact information of the borrower. 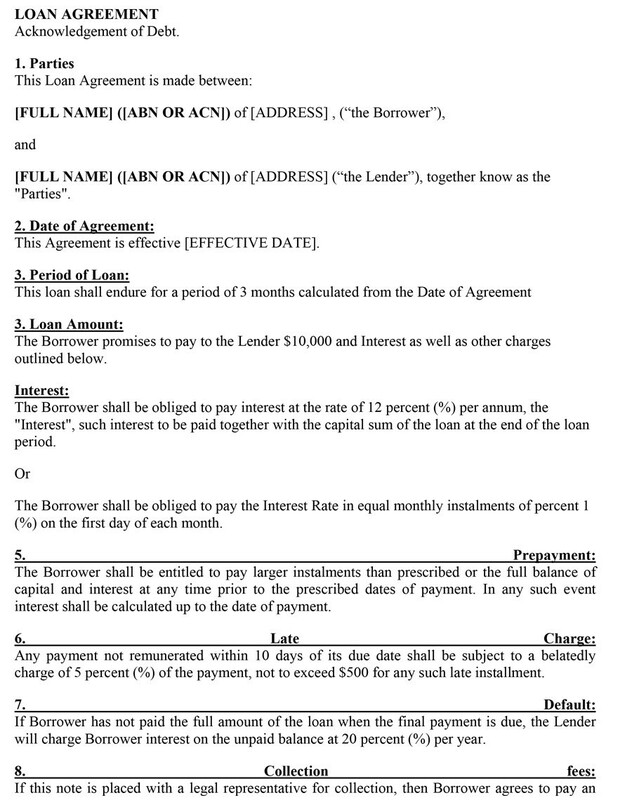 Information on the borrower: The name, address, and contact information of the lender. Loan principle details: The amount of the principle of the loan (the funds less the compounded interest). Interest facts: The conditions of the interest and how it applies to the principle: This includes the rate of interest as well as if the borrower must pay off the interest first before the principle. The conditions of loan use: The lender retains the right to define how the borrow uses the funds and for what purpose. How the borrower pays back the funds: The options for loan repayment. Clear loan terms: The term length and duration. 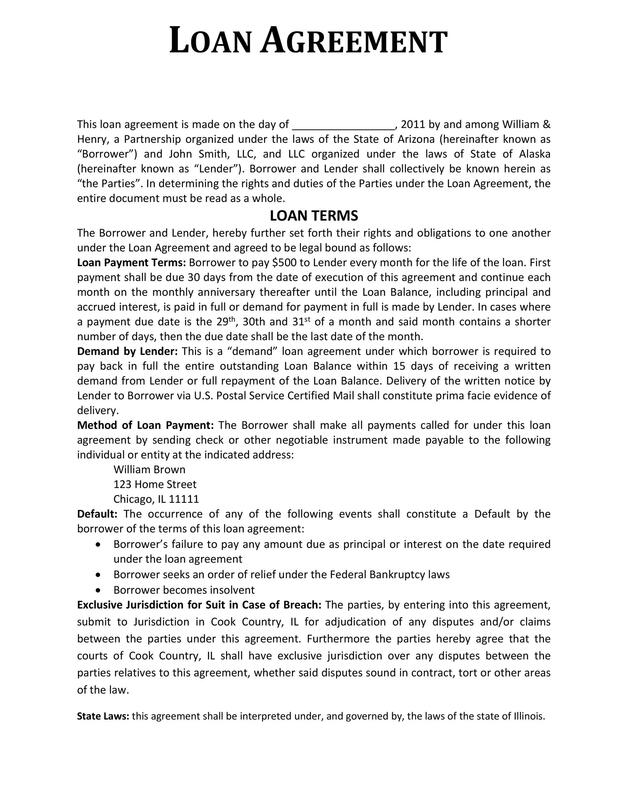 Collateral terms: The free loan agreement template should explain any kind of collateral the to which the borrower and lender agree. Cancellation options: The terms the lender agrees to allow the cancellation of the loan. Early payoff opportunities: Early repayment terms and if there is a penalty for repayment. In the event of default: The terms of what happens if the borrower defaults on the payments. The actions the borrower will take if the borrower does not pay back all the principle and interest. In addition to the above information, some lenders add additional provisos to a loan agreement. Again, the terms of the loan must be clear. The borrow must agree to the terms in the document. 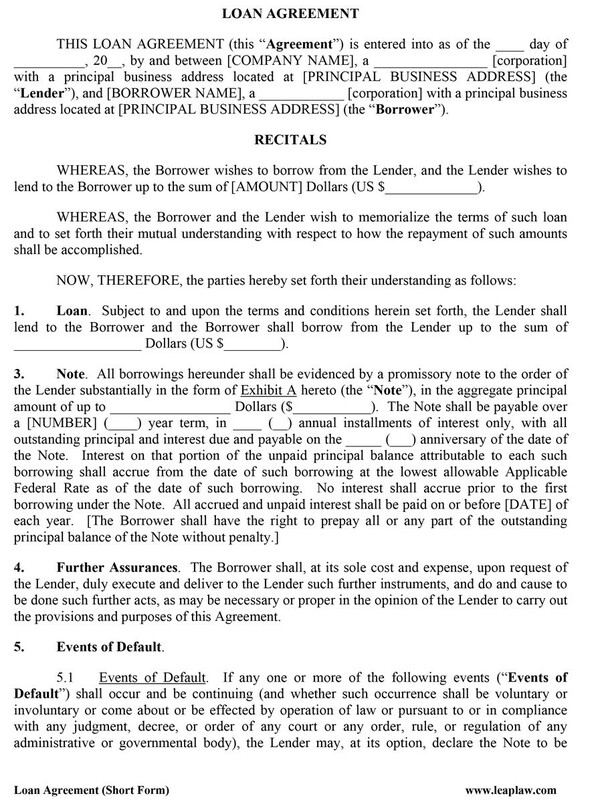 Both the borrower and lender sign the agreement when the draft is complete. A witness is recommended but not always a legal necessity. 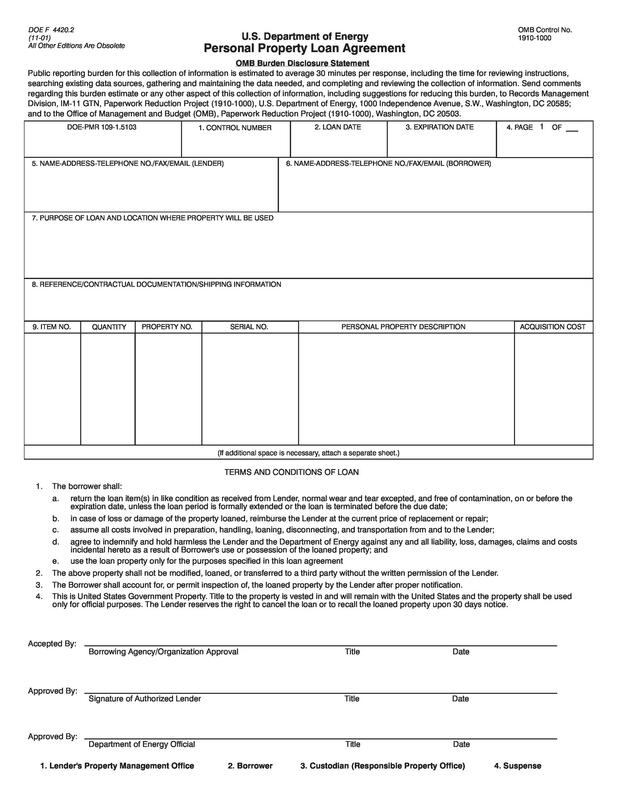 A lender and/or borrower will need to find out the laws where you reside to see if a witness or notary public must see the parties sign the document, then both parties will have to provide proof of identification before signing in front of a legal notary. A person is a notary public if the state has issued them a license to fulfil such a role. The job of the notary is to ensure no fraud occurs during the official signing of the document. Part of the notarial acts the notary fulfils is to prove the lender and borrower are who they say they are before entering into an agreement. It is another measure that helps protect both parties signing the free loan agreement template. Co-signer responsibilities: If the borrower is allowing a co-signer to also sign for the loan, the details of the co-signer’s responsibilities must be in the document. The co-signer is an option for borrowers who have little to no credit or who are young and just starting to build credit. Late fees: Many borrowers frown at paying more than they already must for a loan. Adding late fees to the agreement’s wording can help in preventing potential overdue payments in the future. The wording can allow for the late fees being something the lender applies at his or her discretion. Sale of the loan proviso: A lender might want to include the option of selling the loan to another party. This allows the lender to free themselves from the agreement through the sale, while still recouping some money. The loan buyer then becomes the creditor. The borrower remains the debtor and must repay the new loan holder. It is the lender’s responsibility to determine the credit worthiness of the borrower. The borrower’s trustworthiness can be evaluated through credit reports and references. The borrower might also consider things like the length of time the borrower has lived somewhere or the amount of time at a job. 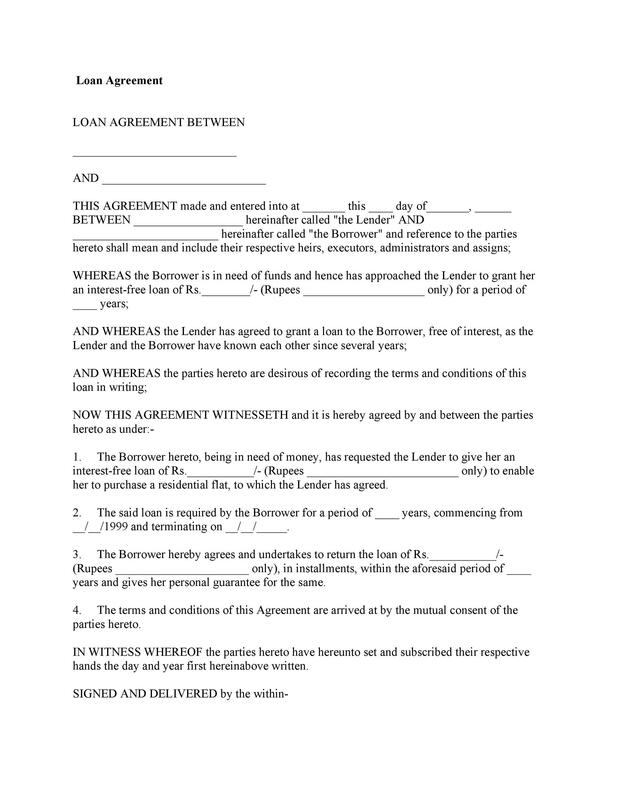 The lender should read over the loan agreement draft to see if all the provisions and writings are accurate. 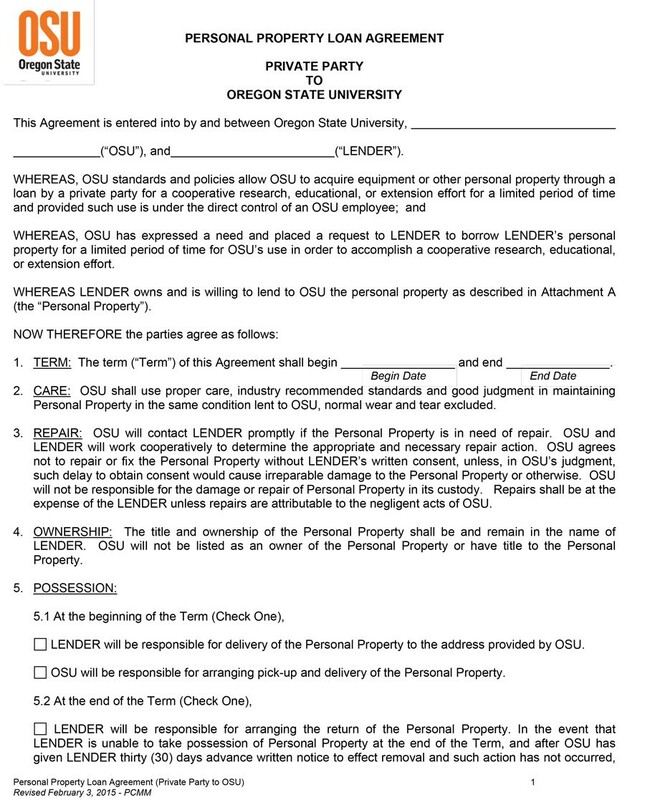 The lender’s signature will convey that the document is read, understood, and accurate. 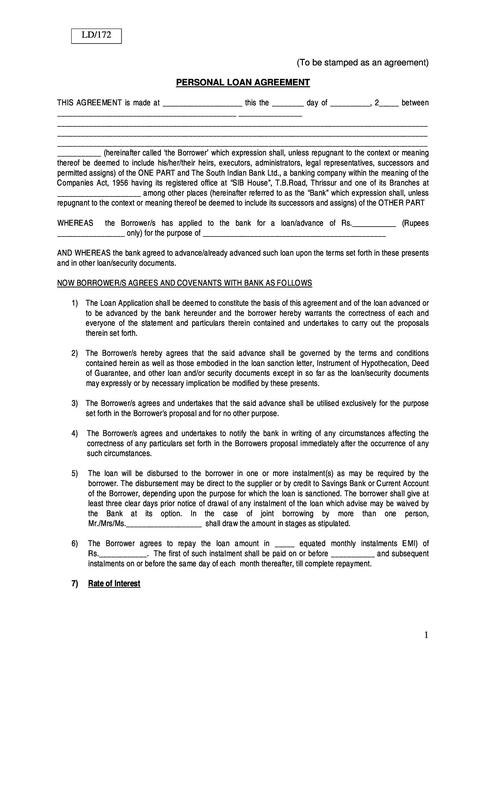 The borrower should read the entire agreement. The borrower is responsible for understanding what is read. 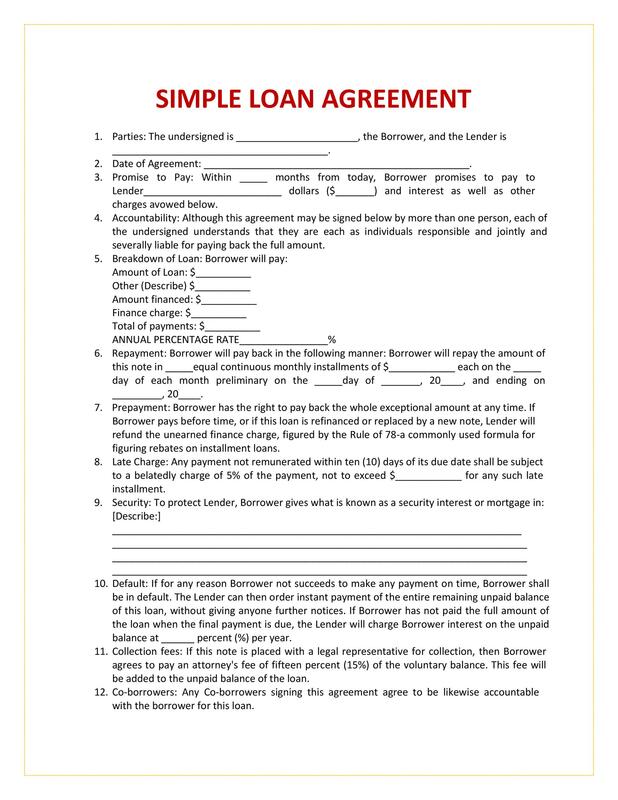 If the document is confusing, the borrower must question the document and get clarity before signing. When the borrower signs the document the individual is stating the document is clear, understood, and correct. The borrower and lender should have identification so the notary public can perform the official screening necessary at the loan signing. 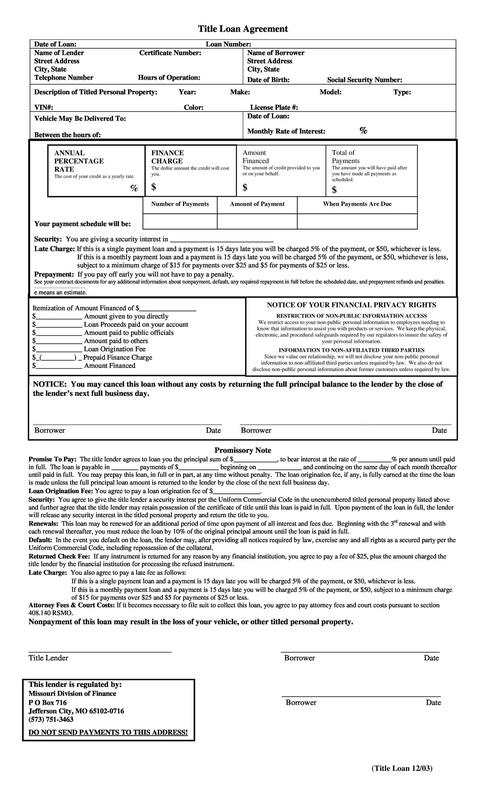 A personal loan agreement template is a document that anyone can use to protect themselves as a lender. 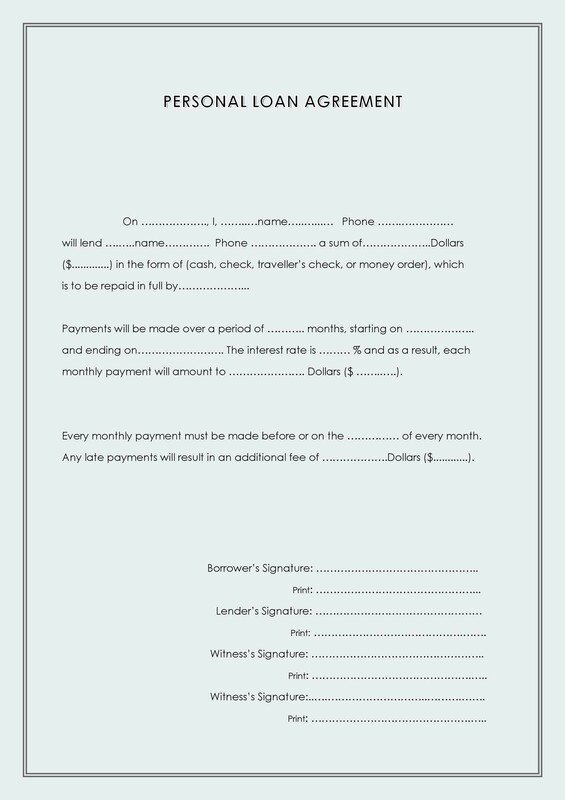 Filling out a simple loan agreement ensures that there is no confusion between the lender and the person in need of funds. 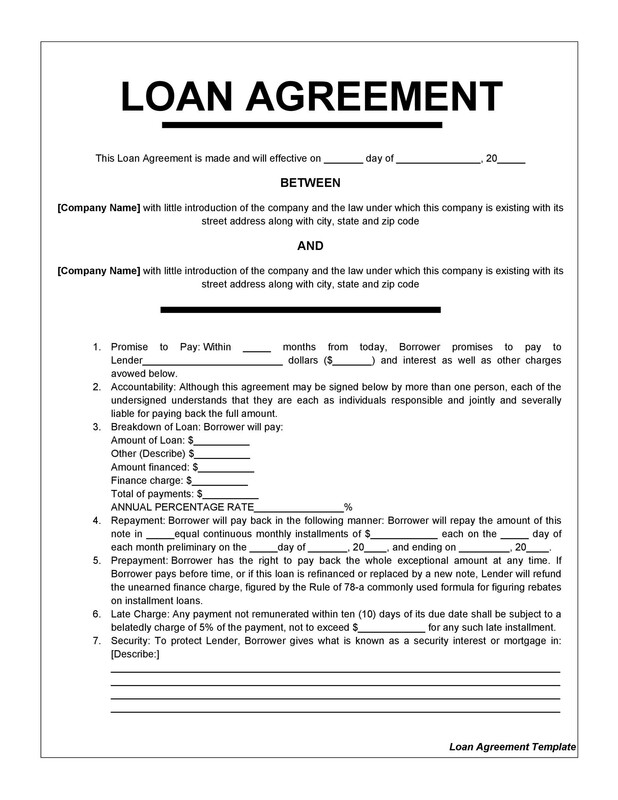 A loan contract template takes the difficulty out of designing a concise and precise document. If the document is to be worth anything at all in a court of law, it must be accurate and define every aspect of the loan in question. With a clear loan agreement, the lender and borrower have rights that remain protected throughout the duration of the loan and repayment terms. The terms of a loan might seem difficult to draft. In the absence of a free loan agreement template this might be true. However, a loan template makes the task of document creation a breeze.